If you need to get your 5-page website “Launched already!” this is the way to go. In one collaborative afternoon we will develop a website design, then build and launch your site. Put “having a business but not a website” behind you! You understand what your business website needs: good looks, good layout and the right pages for your customers. 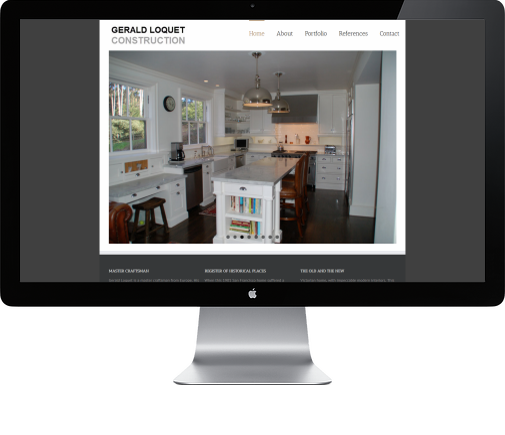 When images are the heart of your business – contractors, designers, artists and photographers – this is your website. We honor your portfolio, images and branding to create a website design that shows the whole world what you can do. Our specialty is listening to you to help you figure out what is right for your business. We’ll work with you to develop the right online strategy. Once we have a plan in place, we’ll build the components. We are techies who speak English as well as tech-speak. We are social media dwellers who will also look you in the eye and come out in the light of day. We are engineers who recognize how critical the right website is to a successful business. We would love to help you with your website design and web development project. Please contact Marin web designer Abigail Gorton at (415) 305-6050 to set up a complimentary 30-minute telephone consultation.